AXA Philippines is committed to maintaining the privacy of data obtained in the course of its business. Concurrent to this compliance is our acknowledgement that the data subjects whose personal information and sensitive personal information (collectively, “Information) we collect and process are handled incorporating the minimum standards defined by the Republic Act No. 10173 (“Data Privacy Act of 2012” or “DPA”), its own internal Privacy Rules and AXA Group standards based on the European Union’s General Data Protection Regulations (EU GDPR) via the Binding Corporate Rules. As a client who provide personal information and sensitive personal information to AXA Philippines, you authorize and consent to the collection, use, processing, and transfer of said information according to valid and legitimate purposes. Further, you authorize sharing of said information to regulatory bodies or government agencies to allow AXA Philippines to meet its obligations under applicable laws, regulations, including contractual obligations. We may further collect or disclose necessary Information from our subsidiaries and affiliates or other agencies as allowed by the law. AXA Philippines also commits to maintaining the integrity, availability and confidentiality of your information against any incidents or breaches while ensuring the protection of the fundamental right of privacy. This commitment applies to all its employees, directors, and distributors of AXA Philippines. Processing of information will only be done when client has given his/her consent prior to the collection of the data or as soon as practicable and reasonable. AXA Philippines will protect the privacy of your information through implementation of organizational, technical, and security measures against the unauthorized or unlawful use, loss, alteration, destruction, sharing, or access to the Information which are transmitted, stored, or otherwise processed. Under no circumstance will AXA Philippines allow selling of Information. Any transfer or sharing, or outsourced processing of your Information will be carried out in compliance with the local law through an Agreement. All information provided in this site shall be deemed and shall remain the property of AXA Philippines. AXA Philippines shall be free to use for any purpose, any idea, concepts, know-how or techniques contained in the provided information, subject to the provisions on privacy detailed herein. Except as specifically required by Philippine law, AXA Philippines shall not be subject to any obligations of confidentiality regarding the provided information. 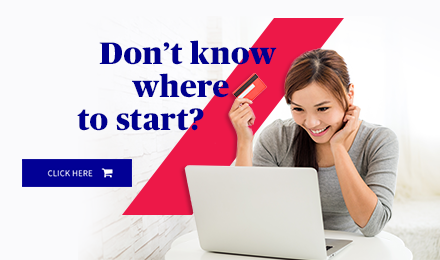 By posting any content, you are granting permission to AXA Philippines and others to access and use it in connection with any service and otherwise in connection with our business. In connection with your posted contents, you agree that you will not: (1) submit material that is copyrighted, protected by trade secret or otherwise subject to third party proprietary rights, including privacy and publicity rights, unless you are the owner of such rights or have permission from their rightful owner to post the material; (2) publish falsehoods or misrepresentations that could damage AXA Philippines or any third party; (3) submit URLs or contents that are unlawful, obscene, defamatory, libelous, threatening, pornographic, harassing, hateful, racially or ethnically offensive and encourages conduct that would be considered a criminal offense, give rise to civil liability, violate any law, or is otherwise inappropriate; (4) offer or provide services whose subject matter is pornographic. Likewise, reference to political activities, political party meetings, demonstrations, fliers or petitions, as well as the propagation of political symbols is prohibited. Furthermore, posted contents that insult, belittle, or in other negative ways affect other users are also prohibited. If you violate any of these restrictions, AXA Philippines is authorized to deny or delete your posted content and/or cancel your right to use the site and/or services, without prior notice. AXA Philippines may do so in its sole discretion without any obligation to investigate. You will be liable to AXA Philippines for all direct and indirect damages for any violation of the above-mentioned restrictions. You agree to indemnify AXA Philippines from all claims by third party resulting from your violation of the above restrictions. 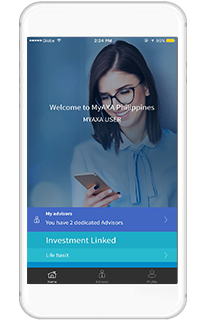 The personal information communicated by the user to AXA Philippines thru the AXA Philippines sites or microsites, by way of forms or questionnaires placed on line, is necessary for the processing of these forms and questionnaires. When you share personal information with us, we use the information we collect to provide, maintain, protect and improve and develop our services, and to protect AXA Philippines and our users. The personal information we collect will be processed by the various concerned departments of AXA Philippines and may be processed on a server located outside the country where you live. We will ask for your consent before using information for a purpose other than those that are set out herein. Shared with entities and/or individuals outside of AXA Philippines or any of its affiliates. We have good-faith in the processing and/or disclosure of the information necessary to comply with laws or regulations or for the purpose of AXA Philippines’ legitimate interest. The user has the right to reasonable access, modification, correction and removal of data collected in this site, under the conditions stipulated by the Philippine data privacy laws and regulations, unless we have to keep that information for legitimate business or legal purposes. When updating your personal information, we may ask you to verify your identity before we can act on your request. We may reject requests that are unreasonably repetitive, require disproportionate technical effort (for example, developing a new system), risk the privacy of others or would be extremely impractical. We can also provide information access and correction for free, except when it would require a disproportionate effort. Our aim is to maintain our services in a manner that protects information from accidental or malicious destruction. Upon deletion of your information from our services, we may not immediately delete residual copies from our active servers and backup systems. 1. Client has a right to be informed whether personal data pertaining to him shall be, are being, or have been processed, including the existence of automated decision-making and profiling. Client must be notified and furnished with the Information provided by law before the entry of his or her personal data into the processing system of AXA Philippines or at the next practical opportunity. 2. Client has a right to object to the processing of his Information, automated processing, or profiling. He must be notified and given an opportunity to withhold consent in case of changes to the Information, unless required under the law or as a legal obligation. Client may also object to receiving telemarketing communications or information from the company. In case of the exercise of this right, AXA Philippines shall no longer process the data unless it is one of the circumstances indicated by law. 3. Client has the right to reasonable access to, upon demand, on the following Information: Contents of the Information that are processed; sources from which the personal data were obtained; names and addresses of recipients of the personal data, manner by which such data were processed; reasons for the disclosure of the personal data to recipients, if any; information on any automated processes where data will or is likely to be made as sole basis for any decision that significantly affects or will affect the client; date when personal data concerning client were last accessed and modified; and AXA Philippines’ identity and address. 4. The client has the right to dispute the inaccuracy or error in the personal data and have AXA Philippines correct it immediately and accordingly, unless the request is vexatious or otherwise unreasonable. If the personal data has been corrected, AXA Philippines shall ensure the accessibility of both the new and the retracted information and the simultaneous receipt of the new and the retracted information by the intended recipients thereof: Provided, That recipients or third parties who have previously received such processed personal data shall be informed of its inaccuracy and its rectification, upon reasonable request of the client. 5. The client has the right to suspend, withdraw or order the blocking, removal or destruction of his or her personal data from AXA Philippines’ filing system upon the conditions declared by law. 6. Client has the right to be indemnified for any damages sustained due to such inaccurate, incomplete, outdated, false, unlawfully obtained or unauthorized use of personal data, taking into account any violation of his or her rights and freedoms as data subject. 7. Where his or her personal data is processed by electronic means and in a structured and commonly used format, the client has the right to obtain from AXA Philippines and in a structured or commonly used format, a copy of such data in an electronic or structured format that is commonly used and allows for further use by client and in accordance with the provisions of law. AXA Philippines ensures personal data is not kept longer than is necessary for the fulfillment of the purpose for which the data is or is to be used. Personal Information shall be retained by AXA Philippines for as long as the same is required to meet its obligations and comply with applicable legal requirements, or other standards set out by a governing body. The information shall be retained only for as long as necessary and within a definite period until it is destroyed, disposed, or anonymized, unless the same cannot be allowed by any written or express authority. We store information under a secure site with SHA 256 encryption. Personal data to and from the Company is encrypted through the Secure Socket Layer (SSL) protocol. We use online data collection tools to evaluate the effectiveness of our websites, improve functionality and enhance security. Like many organizations, we gather data such as IP address, how visitors explore our websites, information about a new or a repeat visit, pages the visitor explored, length of the visit and geographical location or similar details. All such information is collected in an aggregate form and is used to improve our websites' functionality and performance, so we can create a better experience for our visitors. There are two types of cookies - session cookies sometimes called “transient” cookie and permanent or persistent cookies. 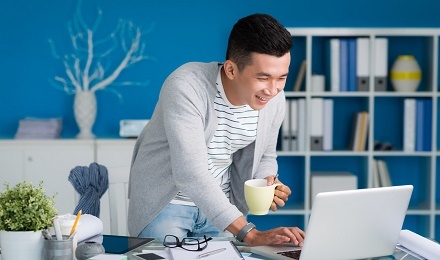 Session cookies are erased when you leave the website or close your internet browser. A permanent cookie remains on your computer even when you close your browser. A permanent cookie can only be read by the website that created it. AXA Philippines does not use permanent cookies. The information collected by the cookie or the web beacon is not used in connection with any other information that could identify you personally. We may share the site visit information obtained using cookies, web beacons and other similar online tracking tools with Google Analytics or other similar tools to analyze online activity on our websites. AXA Philippines values the trust and relations with our clients, hence we will ensure to address all personal data breaches in relation to data subjects whose Personal information are held, processed, retained or shared by AXA Philippines. The standards for breach management implemented by AXA Philippines are guided by the local law and regulation, in coordination with AXA Group. If you have information or have reason to believe that your Information was unlawfully obtained, shared, disclosed, or used for unauthorized purposes, you may contact the Data Privacy Officer of AXA Philippines. AXA Philippines’ DPO ensures that the company meets its requirements and obligations under the applicable data privacy laws, rules, and regulations. Any complaints or breaches must be communicated directly to the DPO.